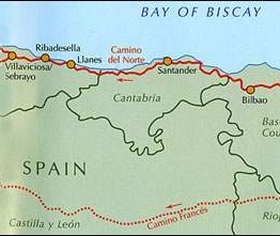 The Camino del Norte or Northern Route is another Way which the pilgrims used to walk in the Middle Age. This route is less frequented than the French Camino and the landscape is really different. 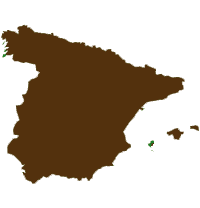 The terrain is hilly and can be mountainous but most of the time follows the coast from the Irun to Ribadesella with a few forestal stages particularly before reaching Bilbao. The Basque country, Asturias, Cantabria and Galicia along the Northern coast of Spain with amazing views over the sea and on the famous Picos de Europa In Asturias. This Camino is great for those who love wild nature and lovely secret beaches where bathing is easy in Summer. The stages are not long but the track goes up and down which results quite challenging. Don t forget that we can adapt this tour with additional nights where you want and even split some walking days into 2 stages as far as accommodation is possible. 2 and 3 star hotels and guest houses. En suite bathrooms. Visit fees,Travel insurance. Everything else that is not listed under "Price includes".